Robert Joseph Price is accused of fatally shooting his neighbor, Glen Berry, after setting off fireworks in the backyard the two shared, according to the Orange County District Attorney's Office. Backyard fireworks allegedly sparked a deadly dispute between two Orange County neighbors. 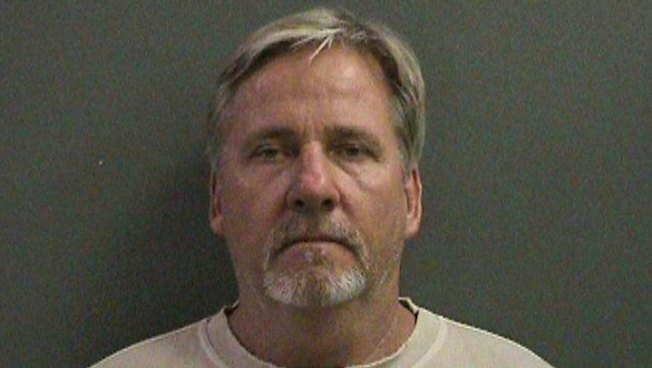 Robert Joseph Price, 52, is accused of shooting and killing his neighbor as he visited Price’s Garden Grove home, authorities said. The neighbors share a fence. The night of the shooting, Price allegedly had been making noise and lighting fireworks about 1 a.m., according to the Orange County District Attorney’s Office. After hearing the commotion, Glen Berry, 53, walked over to Price’s home and knocked on the door. Price opened his door and allegedly shot Berry in the face through the screen, said Farrah Emami, spokeswoman for the Orange County District Attorney’s Office. Berry was unarmed at the time of the shooting, Emami said. Authorities would not reveal what kind of fireworks Price was setting off before the shooting, or whether the men exchanged words before the fatal June 21 incident due to the ongoing investigation. Emami said the dispute between the pair was years-long, but would not specify what the argument was about. Price has been charged with one count of felony murder. If convicted, he faces a maximum sentence of 50 years to life in state prison. Price’s arraignment is scheduled for July 10, and he is being held in lieu of $1 million bail.